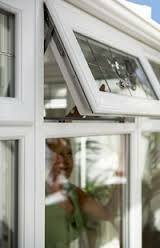 There are many benefits of double glazed windows when you buy from The Advanced Group. Our Double glazing is made from two glass panels sandwiched around a center of gas that acts as an insulator against heat and noise, especially compared to single glazed windows, which let heat escape and cold draughts in, bringing the temperature down and increasing your heating bills. With so many companies offering double glazed windows we have so many satisfied customers choosing The Advanced Group really will give you piece of mind . By investing in performance double glazing windows with the Advanced group you will improve the energy efficiency of your home as the windows help to keep the heat in your house as well as take advantage of solar gain from outside. Security is also not in question with the best window security systems on the market today or why not upgrade to triple glazing windows at no extra cost? Getting in touch with The Advanced Group couldn’t be easier, wither you are inquiring about our double glazed windows or Free upgrade to triple glazing, you can simply call us FREE on 0800 316 7981 or you can arrange a free no obligation survey by filling out one of our online forms.